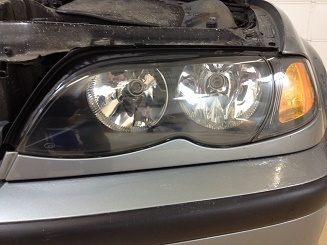 We offer headlight restoration to those individuals whose headlights have become yellow, oxidized, and weathered. We can restore them to near new appearance too. Our unique process is not only quick, but also cost effective when you compare it to replacing the lens which can run into several hundred dollars. Why are my headlights turning yellow? 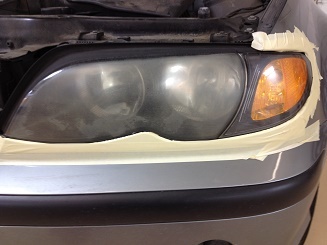 Over a few years of being on the road, your headlights may have taken a beating. 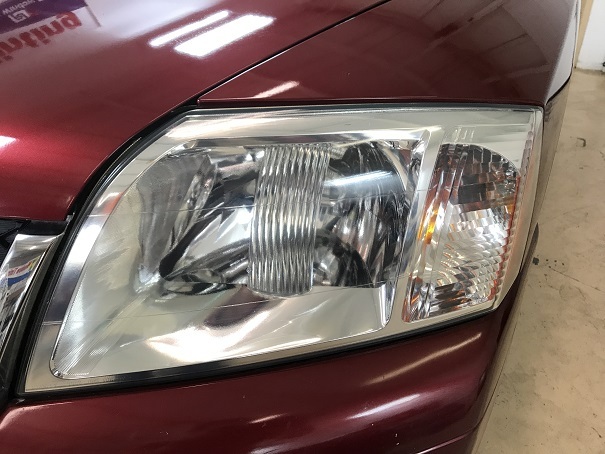 Most modern vehicles use replacement bulbs with plastic lenses that are more prone to discoloration, unlike the sealed-beam, more durable, glass units of the past. Ultraviolet radiation from the sun is the main culprit and can accelerate the aging process regardless of the area of the country you may live in. Even though some makes and models seem to be more susceptible than others - depending on size, angle, and lens composition - all makes are vulnerable. Is it dangerous to drive with cloudy lenses? Clouded lenses can pose serious threats to safety, reducing nigh vision and overall effectiveness of the headlights by up to 80%, based on independent tests. 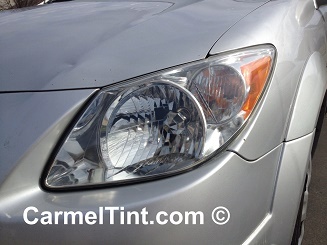 Imagine the danger involved in trying to drive in a rainstorm with cloudy headlight lenses! This is not wise and can be a dangerous threat to your safety and that of others. 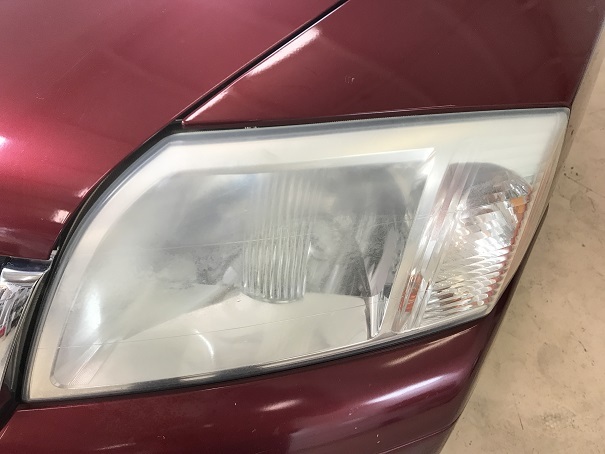 If you have loved ones, AND yellow or cloudy lenses, you cannot afford to drive your car before we perform headlight restoration on it! Far less than you might think. 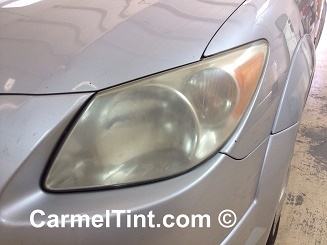 Most lenses we can restore for around $79 per headlight. 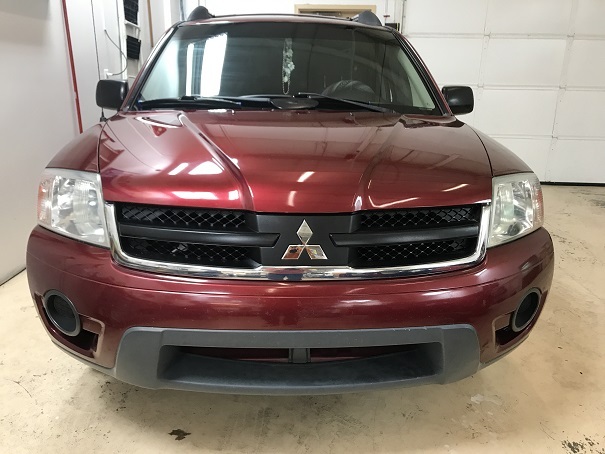 To ensure your lenses stay looking new, DT Services Window Tinting goes a few extra steps to preserve your lenses and keep them from oxidizing in the future. 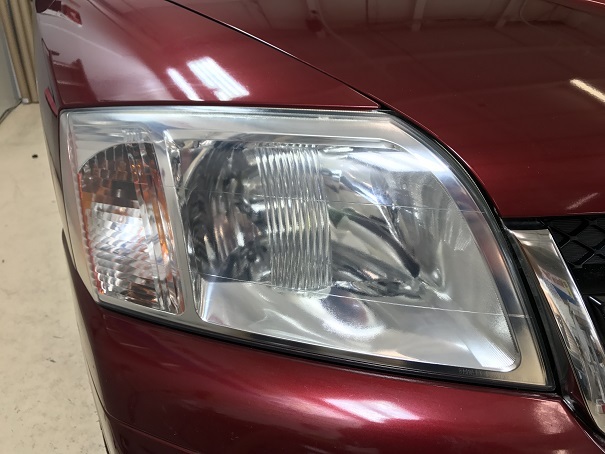 Once we restore the headlights, we apply our proprietary UV coating and also apply a clearbra material to them to protect the lenses from further discoloration and oxidation. 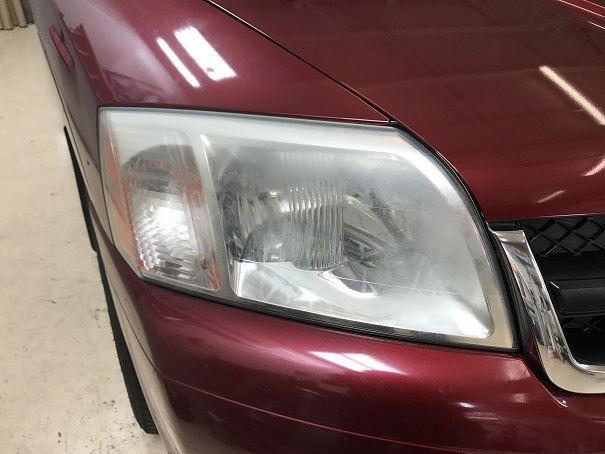 these two e extra steps will keep your headlights looking like new for a much longer time over most other restoration processes. 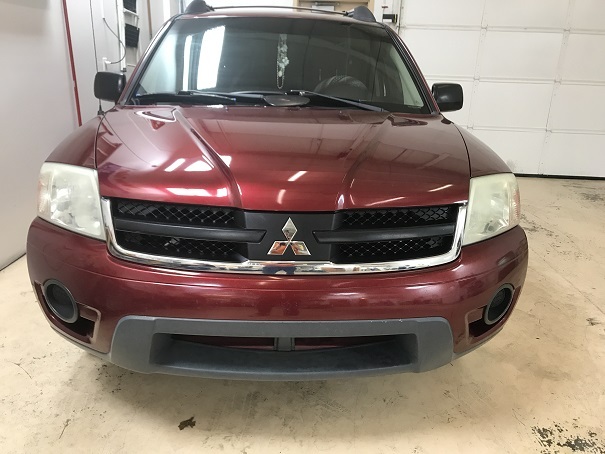 Contact us for more information regarding this extra service we offer to our clients who want to keep their vehicles but DON'T want to shell out a lot of clams for new headlight covers. Below are some Do It Yourself Kits that you can purchase online and at the local parts stores. Problem is, they work... short term. They don't last and the yellowing comes back in about a year or less.